12.31.14, jack, florida, (09:31am, male, was stopped from jumping), i saw it with my own eyes. anyone who was on the bridge at the time. it is not on the news yet and might not be as police where not called. 12.13.14, zolter, facebook, Appears to be another jumper. Search is underway. Trauma arrest. CPR progress. I believe i heard about 80 years old. Maybe i heard wrong. later: Pickup up by USCG. Trauma cardiac arrest to Bayfront. SB lanes. Cardiac arrest from trauma of fall or drowning. 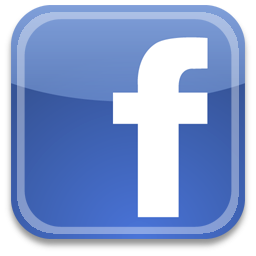 12.13.14, Andrew V., facebook, Someone jumped off tonight... Lots of police on southbound side, joined with an array of police boats. Silver Lincoln Town car on bridge. 12.13.14, IONTBfb/iontb.com, Skyway Bridge: Search continues below bridge for possible jumper. USCG and aircraft searching. later: Jumper picked up by USCG. St Pete Fire FB11 working cardiac arrest on male subject. 12.13.14, jane, Sarasota, (9:30pm), Driving southbound over skyway see police cars and a Lincoln Town Car parked at the top. Several police boats in the water also. 12.13.14, Bill E., Riverview, (9:50pm), All typical units for jumper are dispatched to 723s. 12.13.14, Kenny G., North Port, (9:30pm), Saw five FHP patrol cars at the top of the skyway bridge and an abandon Lincoln town car. There were also several marine patrol boats with there lights flashing on the water near the base of the bridge. 12.13.14, Yvette L., I was driving over the skyway bridge around 9 pm this evening on my way to Fort myers. There were many police vehicles (at least 10) on southbound side also some on northside. I did notice at least 5 people whom i think were police. There was also an EMS vehicle. 12.14.14, Mike, St. Pete., (8:30pm), FHP, FDOT, and Fire and Rescue responding to possible jumper on southbound bridge. Couldn't see too much as I was traveling northbound, but can confirm one empty vehicle at the top of the bridge. Once off the bridge we passed two more fire trucks responding as well as the search and rescue boat. Unfortunately, that is all the information I have at the moment. 12.08.14, Bill E., Riverview, (9:30pm, male, died, body found), HCSO dispatched to empty car @ top of bridge. Nobody around. Coast Guard notified. later: St Pete ems shows typical jumper dispatched units, grid 723s later: FB11 found body, 9:57pm, Enroute to O:Neils. FHP has problem atop bridge. Victim's wife has arrived. Assuming victim was male. FB 11 confirmed signal 7 (deceased) victim. 12.08.14, IONTBfb/iontb.com, Skyway Bridge: Watch for emergency workers. Search on for the driver of an abandon vehicle atop the southbound span. time of jump: 9:15 PM later: Update 10PM: Skyway Bridge: Body of subject located in the waters below. Hillsborough County Sheriff's Office to conduct investigation. Deceased male. Southbound side, found in the water below after about 30 to 45 min search. 12.08.14, Deborah, largo, fl., (9:11pm, died, body found), Listening to the pinellas county 911 radio and heard the search and recovery of the deceased. Hillsborough county ME was called in. 12.09.14, hcso.tampa.fl.us, Man commits suicide jumping from the Sunshine Skyway Bridge. 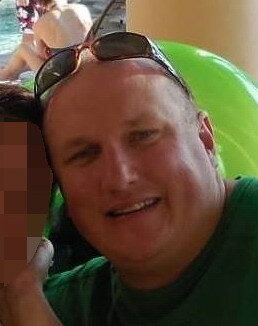 Monday, December 8, 2014, Time: 9:15 PM, Victim: William Magan, DOB: 4/03/75, North Port, Florida, Details: On December 8, 2014 at 9:15 a.m., William Magan drove to the center span of the Sunshine Skyway Bridge and jumped. St. Pete Fire and Rescue responded to the scene and recovered the deceased. Next of kin was notified. 11.12.14, Robert S., ST. Petersburg, Florida, (3:00pm), Trooper behind greenish minivan fire department just responded which had its flashers on and Windows down trooper looking inside the van. 11.12.14, Melissa H., Parrish, FL., (6:00pm), VW Passat wagon with flashers on stopped on Northbound hump. 3 cruisers and nobody in the car. 11.12.14, Ryan N, Palmetto, FL., facebook, Possible jumper empty vw Passat wagon at top northbound. 11.12.14, Jordan, St. Petersburg, FL., There was backed up traffic on the right lane heading back to St. Pete on my way home from work. It was around 6:10pm. Abandoned car (grey I think) with 3 other police cars. One car was blocking the right hand lane. There were 5 officers outside of their car, 2 looked like investigators because they had suits on. Possible jumper or something else? 11.12.14, jessica, fort myers, fl., (4:40pm), i was driving southbound and on the northbound side of skyway bridge was a empty vehile filled w/ FHP an amblulence and officers looking over the side of the bridge and it was all @ the very top of the bridge. 11.12.14, Ryan G., facebook, Saw that as well around 5pm tonight. 3 cops looking over the side. 11.12.14, Nichole B. P., facebook, I was crossing the bridge going home and saw a fire truck and lots of police cars and maybe 5 officers looking over the wall for the motorist. HILLSBOROUGH -- Deputies believe a man found dead committed suicide by jumping off the Sunshine Skyway Bridge on Wednesday afternoon, according to the Hillborough County Sheriff's Office. Deputies went to the bridge at 4:10 p.m. because of a report by a Florida Highway Patrol trooper of an abandoned, running vehicle at the top of the bridge, according to Debbie Carter, spokeswoman for the Hillsborough County Sheriff's Office. 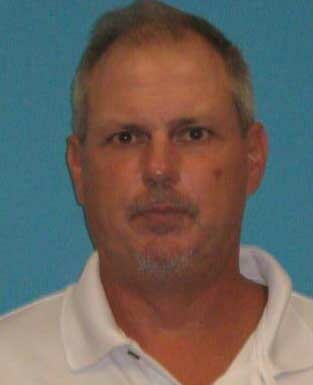 Carl Parks, 55, was the owner of the vehicle and was reported missing from Collier County, according to Carter. Carter said after a search the Florida Fish and Wildlife Conservation Commission found the body of Parks shortly after about 2.5 miles east of the Skyway. 11.10.14, Shepdog of Skyway Lane, St Petersburg, FL., (7:55am), While driving southbound, a trooper was at the top of the bridge with his lights on and an empty car in front of him. That is all I know. No known response by St Petersburg Fire Rescue. 11.10.14, na, st pete., fl., (8:15am), Drove by one white car at the top a road ranger and a state tropper. the only people there were a trooper and the road ranger. I wonder if the captain of the cran barge saw anything. it was full throttle heading away from the bridge. 10.25.14: article - college marine rescue team teaches lessons. ST. PETERSBURG, Fla. (AP) — When a troubled soul jumps from the Sunshine Skyway Bridge that spans Tampa Bay, the person's slim chance of survival could rest in the hands of 20-year-old Melody Chaplin and her college classmates. Chaplin is one of about 50 students on the Eckerd College Search and Rescue Team. The school and its all-volunteer marine rescue program are approximately six miles by boat from the bridge, which is ranked fourth for suicide jumps in the United States. Because of the school's location - where the Gulf of Mexico meets Tampa Bay - the group is often the first to respond on suicides. Their four boats are some of the closest to the bridge, closer even than the Coast Guard. The boats are docked just yards from some dorms, and the proximity to the bridge means that they have a chance of rescuing people in need. When Chaplin and her teammates get a call about a jumper, adrenaline surges and she's out the door. Even if she's in her dorm room, studying for finals. Or watching a movie with her roommate. Or sleeping. The emotions come later. Staff members hold a debriefing for team members after responding to a tough call. "I trust everyone on the team," said Meg Evans, a 19-year-old sophomore. The team was founded in 1971 to provide support for the school's numerous water-based activities. Over the years, the team's mission has expanded to help non-Eckerd mariners and is a Hollywood movie waiting to happen. Said Aino Pihlava, a 21-year-old junior from Finland: "It made me realize how small some of the problems are that we think are huge." Love connections have ended in post-graduation marriages. Often entire suites will be made up of EC-SAR members. Most have the same ringtone on their phones — a loud, blaring horn — and know they can call on each other at any time of the day or night. While the 24-7 team is the only volunteer, college-based marine search and rescue group in the country, there are other college search and rescue teams around the nation. Texas A&M has a center for Robot Assisted Search and Rescue and a handful of schools perform backcountry searches. Eckerd is also unique for handling many of the routine suicide recovery missions. According to a website that compiles suicide statistics for the bridge, between five and 12 people commit suicide there annually. Dozens more are listed as possible suicides, and each year there are a few survivors — a near-miracle on a 197 foot bridge — at its center span. Since 2013, the Eckerd team has found four victims, none alive. Over the years, the team has rescued survivors, but fewer than a dozen. In 2012, the team also came up with a new, nautical search pattern. Previously, the team would steer their boats parallel to the bridge, up and down the bay. Emily Sandrowicz, a 28-year-old staff member and a former volunteer student, said the team wondered where a body would drift given the tides and currents. The team stuffed a "mustang suit" — a full-body immersion suit — with weights to approximate an adult's size. They couldn't hurl it over the side of the bridge, but they could put it in the water underneath, with a GPS tracker attached. They discovered their previous searches "wasted time and space," said Sandrowicz. Depending on the tide, the dummy drifted only to certain places. So they switched their search pattern to more of an expanding cone-shaped configuration and shared their results with the Coast Guard and area fire-rescue teams that also look for jumpers. Since implementing the new pattern, area rescue teams have found 70 percent of the 14 jumpers since January 2013, Sandrowicz said. The team also helps stranded boaters, puts out onboard fires and bails out sinking vessels of all shapes and sizes - free of charge, although mariners often give donations to the team after being rescued. Crews are on call for a 24-hour period and then get 48 hours off; the team's three paid, non-student staff members schedule the students around lectures and try not to call the students to an emergency during class. The students receive no college credit for the extracurricular program, which is funded almost entirely by donations (the team holds a massive yard sale every year, which garners much of the annual budget). A private liberal arts school, Eckerd has about 1,800 students and a good chunk are marine science majors. Some pick the school specifically for the SAR team. Said Meg Evans, a 19-year-old sophomore who wears a dolphin pendant around her neck: "This team has shown me that I'm a lot stronger than I thought." 08.25.14: possible jump, male, hit water, died, body not found yet? 08.25.14, TB, Tampa, FL., (08.25.14, 11:30am), Ambulance with full sirens and lights passed me as I was heading towards the skyway bridge, while crossing over that emergency vehicle as well as numerous law enforcement were at top of the bridge with binoculars looking down at the water. 08.20.14, ele, bradenton, (1:06am), Saw car on of northbound lane police on southbound lane at top. 08.19.14, Jeff L., facebook, suicide / pinellas/ st petersburg / 1 sunshine skyway bridge. FB11, R11, D5, LR1, ECSR, USGC, FFWC, SS350, E11. later: FB11 found body, signal 7. 08.19.14, Rikke, St.pete., When i was driving over the bridge there was an empty car on the top of the bridge and cops looking over the edge. 08.20.14, Paco, @skywayjumpers, it happened as I drove past. Body was recovered. 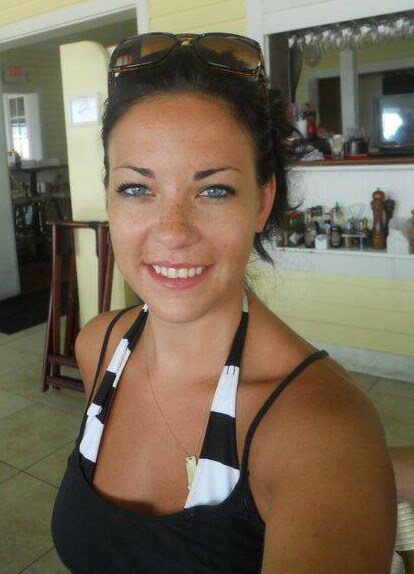 08.22.14, Loren G., Sarasota, FL., (08.19.14, 3:30pm, female, died, body found), Lizz Byrnes, 28 years old. Drove to middle of bridge, got out of vehicle and threw herself over the bridge. She was recovered by Fire Rescue I believe in Tampa Bay. I am a relative of her boyfriend. Information is listed online as well. 08.25.14, anon driving over, St Petersburg, FL., (08.19.14, 3:13pm, female), Saw the cars as I drove over at 3:20. Saw this article: tampabay.com, Feel like I need to know what happened to her. 08.20.14, hcso.tampa.fl.us, Sunshine Skyway Bridge, Suicide, Woman jumped from the Sunshine Skyway Bridge. 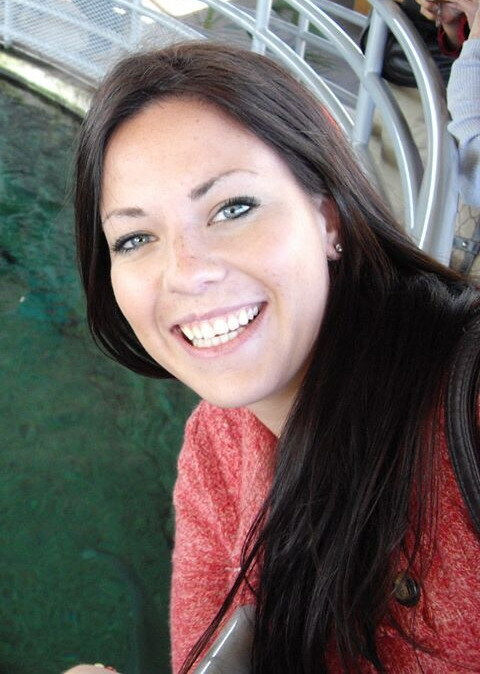 Tuesday, August 19, 2014, Time: 3:15 PM, Victim: Elizabeth Byrnes DOB: 3/04/1986, Sarasota, Details: On August 19, 2014, at approximately 3:15 p.m., Elizabeth Byrnes drove her vehicle to the northbound center span of the Sunshine Skyway Bridge. 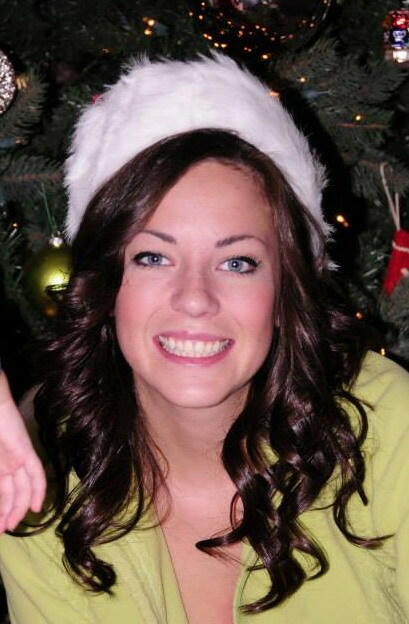 Byrnes exited her vehicle, walked over to the rail and jumped off the bridge. St. Petersburg Fire Rescue recovered the body. 08.19.14, tampabay.com, Woman jumps off Sunshine Skyway Bridge. A woman jumped off the Sunshine Skyway Bridge on Tuesday, authorities said. The Florida Highway Patrol received the call at 3:13 p.m. Witnesses told troopers that a woman had climbed over the railing and jumped. An unoccupied vehicle was parked nearby. 08.20.14, tampabay.com, Deputies have identified a woman who jumped from the Sunshine Skyway bridge on Tuesday afternoon. Elizabeth Byrnes, 28, of Sarasota, drove her vehicle to the northbound center span of the bridge about 3:15 p.m., got out, walked to the rail and jumped. St. Petersburg Fire Rescue crews later recovered her body from Tampa Bay. Witnesses reported seeing her jump and deputies found her empty vehicle parked nearby. 08.12.14, Bill E., Riverview, (4:35pm), HCSO Alert to all cars & FHP. Driver of S10 headed to Skyway to jump. 08.01.14, Nicole A., St Pete, Fl., (8:30pm), Abandoned Red Nissan SUV at the top of the bridge with the emergency flashers on. 07.28.14, Dave, Bradenton, (6:20pm, male, was stopped from jumping), Drove by, have pic of police talking him down. Glad they got to him in time. 07.28.14, Beth H., facebook, Just saw a jumper on Skyway Bridge- police were talking him down, so sad. 07.28.14, Keodara A.Y., facebook, Hi, I was just coming over the bridge 15 mins ago and only saw an empty car, feared the worst but hope the car was empty because the person was safe in the police car. 07.28.14, KYLIE, LWR, FL., Came home after driving by to check the jumper page. So So Friggen Happy to see that this attempt was a failure. Its just good that someone was given a second chance to ponder their life. Hopefully it is a chance they will use to live a happier life. I get it. 07.23.14: possible something? nothing? two incidents on this date? 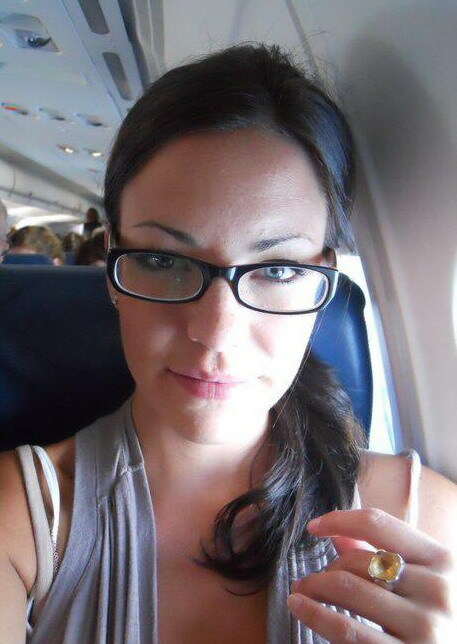 08.14.14, Fake N., Tampa, FL., (07.23.14, female, died, body found), legacy.com/obituaries, This was my neighbor. She was the abandoned car call for service on 7/23. Her kids informed me of how she passed. 06.29.14: article - Hooper: Can Sunshine Skyway suicides be curbed? The board that oversees San Francisco's Golden Gate Bridge voted last week to install a steel safety net to help prevent suicides on the iconic structure. 06.29.14, Dan M., No boats or helicopters... They were looking straight down, maybe at the rocks. 06.29.14, Steven H., facebook, It just ended peacefully at 740am. Started shortly before 6am in the SB lanes. 06.29.14, Bill E., (7:55am, was stopped from jumping), St Pete to dispatch, HCSO has person of interest in custody. All units leaving bridge. 06.29.14, Ted G., aripeka, Fl., (7:20am, male, was stopped from jumping), was heading back from Ft Meyers. The first thing I noticed was a helicopter hovering. There was a ship heading to port. At the top of the span there were numerous patol cars. The jumper was indeed straddling the wall. There was one officer kneeling on the ground and appeared to be talking to the would be jumper. Several other officers were near by. 07.01.14, Dan M., facebook, and the photos above, I'm very happy he lived. I've seen two people go over the rail personally, and over the years countless empty cars and folks watching the body float away as the CG tried to find it. 05.27.14, Christina W., Arcadia, FL., (05.24.14, roughly between midnight and 2ish), My husband and I were out fishing on the South end of the fishing pier. We saw several emergency vehicles head to the top and never heard any crash....any info??? 06.09.14, Jennifer, St. Petersburg, FL, (05.20.14, between 10:30 pm and 11 pm), I drive this bridge at least 6 days a week, twice a day. I have seen a few police/abandoned vehicles on the skyway bridge in my 2 year span of living here in Florida. But on this Sunday night on my way home from work, I noticed a vehicle a few cars in front of with it's hazard lights on. The car was driving slower as it approached the top of the bridge. It almost seemed as if the driver was "looking" for the "right" spot to stop, if that makes any sense. As other cars kept passing the vehicle, it moved from the left lane to the right lane and stopped at the very top of the bridge. I was directly behind this car and it was extremely odd to me what had just happened. I did not see anyone exit the vehicle so I am not exactly sure what the issue was. If I am not mistaken it coincides with the previous comment from 5/20/2014. 05.17.14, Bill E., Riverview, Fl., (1:35pm, female), HCSO just dispatched call. Female out of her car looking over side @ top of bridge. 05.14.14: jumper, 1:39pm, male, hit water, died, body recovered. 05.14.14, Bill E., Riverview, Fl., (1:39pm, male, died), Report of civilian boat with deceased male aboard, 2.3 nautical miles nw of center span. All typical apparatus dispatched. Report of boat being a sailboat. Coastguard responding to boat. Other units to top of bridge, Blackthorn and marina. later: Update; after searching for sailboat, command was notified that the boat just gave lat/long of body. Ongoing search with HCSO sending marine unit & chopper. 3:13 FB11 stopping their search. USCG, HCSO. chopper & awaiting USCG chopper still searching. 05.20.14, A.K., Sarasota, FL., (2:00am, male, hit water, died, body found), I am ex wife, was contacted by Hillsborough Sheriffs Office in effort to locate next of kin. Vehicle abandoned at top of Skyway 2am, jumped, body not recovered until later that day. Thomas Cavis, DOB 11-30-1969. Residence unknown. 05.14.14, IONTBfb/iontb.com, Water Rescue: Crews from St Pete Fire, USCG, and PCSO responding to reports of a deceased person about 3 miles from the Skyway Bridge. later: Body was recovered this afternoon. Most likely related to an abandon vehicle left atop the Skyway bridge about 2am this morning. 04.30.14, IONTBfb/iontb.com, Multiple calls received. Male jumped from SB lanes. Sunstar visualized subject floating face down in the water. Body recovered and confirmed deceased. 04.27.14, Buddy, last night about 4am there was an empty car and 3 police cars at the very top of the southbound side of the bridge. when I went by at 5am they were all gone and there was nothing left but burnt flares. if you hear anything please reply I would like to know. 04.27.14, IONTBfb/iontb.com, Jumper very early this morning. Subject recovered alive and transported to the hospital. Left suicide note in the vehicle prior to jumping. 03.21.14, Mark B., facebook, 2 troopers top of bridge northbound, empty car. 03.18.14, Ryan G., facebook, Southbound at the hump......police and empty vehicle on the Skyway Bridge. Hopefully it's not a jumper. 03.16.14, anon, (5:18 07pm, female), HCSO got call of female 'Shawna Watson' on way to Skyway to jump. HCSO referred call to FHP. 02.24.14, Shepdog of Skyway Lanes, St Pete, FL., (8:48am, male, hit water), Pinellas County dispatched St Pete Rescue 11, Truck 11, Engine 11, Fire Boat 11, Eckert College SAR, the Coast Guard, Sunstar and the District Chief and Rescue Lieutenant from downtown to grid 723S. This is the standard dispatch for a jumper. At 8:56, Dispatch reported that a male stopped at the top in the northbound lanes and immediately jumped...At 8:57, Dispatch reported FHP could see the jumper in the water. 02.24.14, DH, Clearwater, (8:30am, hit water), Listening to Pinellas 911 crews responding to a jumper Fire Boat 11 enroute to recover. Not sure if male or female. crews at top of bridge and can see the person in the water and directing FB11 to it. Does not sound as if they survived. 02.24.14, Tom S., facebook, ‎Skyway Bridge Possible Jumper 9am. Toyota Tacoma silver. 02.24.14, hcso.tampa.fl.us, Sunshine Skyway Bridge Suicide Man jumped from the center span of the bridge. 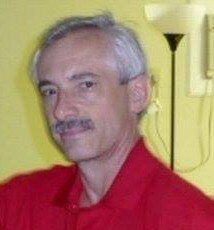 Victim: Craig Crider DOB: 10-25-66, [address withheld], St. Petersburg, Details: Hillsborough County Sheriff’s Office detectives are investigating a suicide from the Skyway Bridge that occurred February 24, 2014 at approximately 8:55 a.m. According to witnesses, Crider drove his vehicle to the center span of the bridge and parked his car. He exited the vehicle, walked over to the rail and jumped over. His body was recovered and transported to the Medical Examiner’s Office. ST. PETERSBURG — A man died Monday morning after jumping off the center span of the Sunshine Skyway Bridge, according to Hillsborough County sheriff's officials. 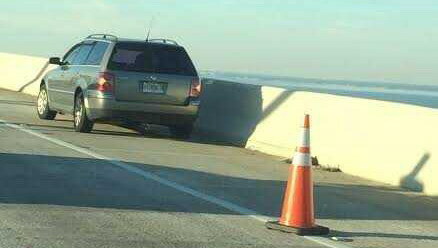 Craig Crider, 47, of St. Petersburg, drove his car to the top of the bridge about 8:55 a.m. and parked, authorities. He then got out, walked to the rail and jumped over. Emergency crews searched the waters below the bridge and found Crider's body, officials said. Hillsborough sheriff's deputies were investigating the death as a suicide. and CRIDER, CRAIG GILBERT on the resulting page. 02.05.14, Joseph D., Terra Ceia Island, Driving northbound at 3:00 am today and saw 6 police cruisers and rescue vehicles on the hump. 02.05.14, hcso.tampa.fl.us, The woman who jumped from the Sunshine Skyway Bridge has been identified. 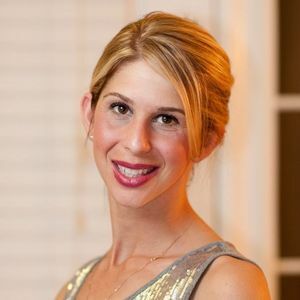 Wednesday, February 5, 2014, Time: 2:59 AM, Sunshine Skyway Bridge, Victim: Kelly Krapfl, DOB: 8/07/1978, [address withheld], New Port Richey, FL., Details: On February 5, 2014 at approximately 2:59 a.m., Kelly Krapfl parked her vehicle at the center span of the bridge and jumped over the railing. The deceased was located in the water by St. Petersburg Fire Rescue. 09.16.13, "Never say it can't get worse it can... FML..."
09.22.13, "Lesson learned this week- Don't cry wolf bc when you really need help no one believes you." 10.18.13, "It is an awful feeling when you know something is wrong and no one believes you." • Michael J., So tragic to read about this. Such young lives cut short. • Devon P., Four little kids without a mom. Tragic. • Neil T., So it goes. My childhood friend did it yesterday but had no bridge to do it. Three kids. She and I go WAY back. But I am not in her shoes. You, me and others reading this, might be stronger than Julie and this other lady. I find it interesting more than I do tragic. Might not make me the most sensitive of people but I cannot change certain things. • Skyway Bridge, no one self-eliminates without reason. many times, those closest are clueless as to why. that is what makes suicide such a strange event. • Barbara H., From reading her Facebook posts, it appeared that the 35 year old mother seemed to be reaching out for help. I wish there wasn't a stigma attached to needing help. Not everyone endures things the same. My thoughts are with her loved ones. • Stephanie P., My thoughts exactly mark. My 22 year old sister jumped from a similar bridge in Houston 3 1/2 months ago. I went to the bridge and stood there looking over the edge and couldn't believe my sister had the balls to jump from that high. I don't get it. Its not a pleasant way to go at all. The autopsy and police report were horrible to read and the pics that came with the police report still haunt me every hour of every day. She was my only sibling and my family has been completely shattered. I have been to that dark place in my mind where I think she was at and can understand why she did it. When you're in so much emotional pain you're not thinking of your loved ones or the consequences. You're only thinking about ending the constant internal pain. My sister's problems were not fixable. She had so many issues and alot were just not solvable. I think she had been dead on the inside for a very long time. Anyways that's just my 2 cents. • Neil T., Barb, always open to interpretation: My friend who took her own life, no more knowledge than a Skyway leaper. They make up their mind. Social interaction/prevention? My uncle who killed himself in 1980? I couldn't have an impact on these ones where I knew the people. I think that, sadly, you have to just sit back and watch here. • Mark B., I was stationed in San Francisco in the Coast Guard back in the day, bridge jumpers were common. I had one that survived that screamed that we were hurting him while pulling him in the boat and we couldn't believe the nerve! The damage that causes on everyone else, let alone the jumper. 18 year old kids pulling crushed bodies from the sea. I will never forget it. • Skyway Bridge, thanks to those sharing their stories and opinions. they just prove there are forces that effect how and when we decide to take ourselves out, regardless of how friends, family, or society in general feel about it. it's been happening since the beginning and will continue to happen till the end and there appears to be squat little that can be done to stop it. • Linda F., It's always interesting to read posts from family members of people who committed suicide. My sister battled demons for many years. She killed herself in a more unconventional manner, she drank herself to death. I didn't really look at it that way until my best friends mother said to me that, because of my sister's religious beliefs, most likely she drank herself to death because putting a gun to her head, taking pills, or jumping off the Skyway would have put her on the "fast track" to hell. The last 10 months before she died she was drinking a gallon of vodka a day. That is almost incomprehensible to me that someone could drink that much a day. I try looking back feeling like there was more I should have done, but all of our conversations about her drinking turned into a huge argument and ended with us not speaking for a couple weeks. I'd always feel guilty and end up calling her to apologize. She will be gone 2 years on February 20th and I still feel a lot of anger with some guilt mixed in. • Skyway Bridge, linda makes a valid point. i know several that have used cigarettes in a perhaps unintentional suicidal effort to end their lives. people will argue this, but self inflicted death is suicide, regardless the method or the time it takes to succeed. • Neil T., Sorry Linda. Like the people I have been dealing with this week, so many of them feel that guilt too. I've had to tell people it is their own burden to put down. But I can honestly say that everyone I have ever known who cut their own lives short: There wasn't anything I could have done to change their minds. Being the cause of something is different. Being the solution is only involved if you are part of the cause. • Linda F., Thank you Neil. I never really looked at it that way before. I guess I really should put that burden of guilt down. Makes sense that it's mine to hold on to or walk away from. • Skyway Bridge, it seems odd that while reading some of her guestbook entries, there are several referring to her as such a good mother. makes me thankful my mother wasn't as good and didn't take herself out when i was so young. 02.04.14, Jess, Tampa, Fl., (9:00am, male), My boyfriend just saw a man jump. Young man in his late twenties, early thirties. Stopped at the top, got out, ran and jumped all very quickly. My boyfriend called 911. 02.04.14, jeneria, milwaukee, wi., (9:30am), From Twitter IONTB.COM ‏@IONTB 3m, Skyway: Large emergency response enroute to the top of the Skyway. Poor visibility. Marine units as well. 02.04.14, anon, (9:15am, male), Small silver car parked at top of bridge with flashers on. Lots of fire dept activity...HEAVY FOG delaying response. Much radio traffic. 02.04.14, Shepdog of Skyway Lane, St Pete, Fl., (9:11am, male, hit water), Pinellas County dispatched St Pete Rescue 11, Truck 11, Engine 11, Fire Boat 11, Eckert College SAR, the Coast Guard, Sunstar and the District Chief and Rescue Lieutenant from downtown to grid 723S. This is the standard dispatch for a jumper. At 0934, Dispatch that 2 fireboats from Tampa were enroute and that the Coasties aren't in the water yet. 02.04.14, anon, saint petersburg, (10:30am), I witnessed state troopers and county sheriffs, fire resucue, at the middle of the south bound with a small gold color 4 dr car and all of them looking over the side. What else could they be looking for? 02.04.14, Robert S., Largo, Fl., Not sure that if anyone has contacted you, but I was driving south bond, over the skyway around 9:50 this morning 2/4/14, there was a lot of activity, at the hump of the bridge (sheriff, fire, highway patrol, road ranger) a car was sitting their unoccupied and the first responders were standing along the edge it was extremely foggy, sure someone had jumped. I seen no information on this website so I wanted to let you know what I had seen. 02.05.14, Jonathan B., St Petersburg, FL., (02.04.14, 9:10am, male, no crisis phones), I was driving across the skyway in dense fog; traffic was a little slower because of low visibility. I was traveling southbound in the left hand lane. Several car lengths in front of me I noticed a compact car, the model I didn't pay specific attention, pulled to the right shoulder at the very crest of the bridge (I don't know if it had just pulled over or had been pulled over) and as I approached it with the flow of traffic, what looked like a late twenties to thirties male exited the driver side wearing what I believe was workout attire (shorts and a short sleeve shirt with compression pants and shirt underneath), ran to and around the rear of the car and hopped over the barrier as if he was jumping over a small fence. He cleared the barrier just before I passed the car. I looked at the motorist in the lane beside me mouthing "did you see that" but he obviously didn't as he looked confused. I immediately called 911 (my phones time stamp is 9:11 am 2/4/14) and they transferred me to Hillsborough County and also they contacted FHP while I was on the line. I've looked for a story on Bay News 9 as well as google but I haven't come across any stories. It was so fast and surreal. My question to you is do theses stories typically make the news? Because of how out of place this event was compared to my experiences in the world (I've never witnessed or thought I would witness a suicide attempt) I need validation. later: (died), I sent in my eye witness account earlier this morning and my girlfriend was wise enough to suggest I look at the Hillsborough County Sherif's Departments website. Emmanuel Almanzar DOB: 7/01/1987 [address withheld], Tampa. This information was retrieved, hcso.tampa.fl.us. 02.06.14, Christian W., New Smyrna Beach, Florida, (02.04.14, 9:15am), Tuesday morning, Feb 4, my girlfriend and I were in the way from St Pete to do a job in Bradenton and witnessed a car parked at the center span, with its flashes on. We didn't slowed a bit and didn't see anybody walking on the bridge. My business partner showed up about an hour later and said that he had to reroute, because the Skyway was shut down. Any info available? 02.06.14, Susan, St. Pete, Florida, (02.04.14, male, hit water, died, body found), Just to give them some credit, Eckerd College found the guy, not FWC. Amazing group of students to find him in the fog. Usually not that many people out on jumpers, either. The radio was very active for this one..
02.05.14, hcso.tampa.fl.us, Man suffers fatal injuries after jumping from the Sunshine Skyway Bridge. Tuesday, February 4, 2014, Time: 9:12 AM, Sunshine Skyway Bridge, Victim: Emmanuel Almanzar, DOB: 7/01/1987, [address withheld], Tampa, Details: On February 4, 2014 at 9:12 a.m., Emmanuel Almanzar parked his vehicle at the center span of the Sunshine Skyway bridge and then jumped over the side. Florida Fish and Wildlife officers located and recovered the deceased. 01.19.14: possible something, who knows? 11:00am? 5:30pm?